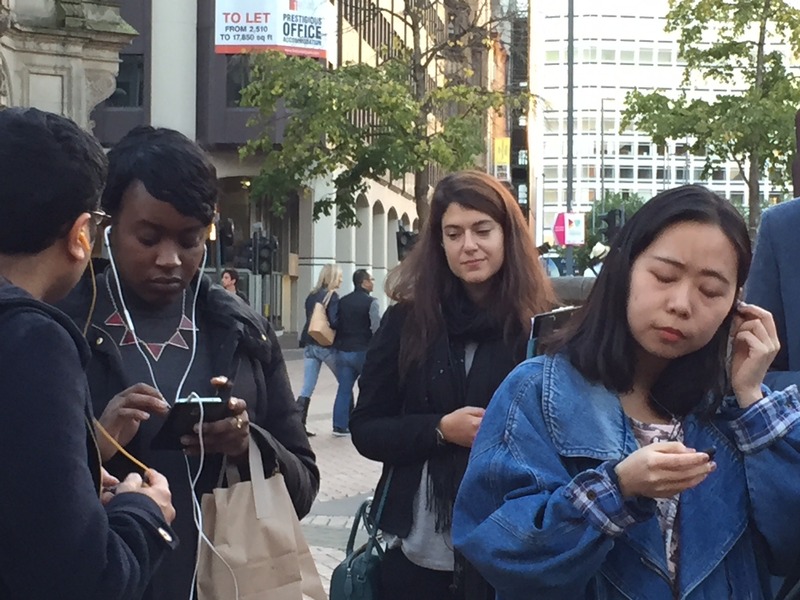 As part of the Birmingham Weekender (Sept 2015) and in collaboration with Still Walking SOUNDkitchen led a SOUNDwalk around central Birmingham that invited participants to actively listen to a busy metropolitan sonic environment. SOUNDwalkers discovered a new appreciation for the ever changing soundscape, lingering on sonic features and hearing the sound of architecture. The walk coincided with the opening of Grand Central shopping centre and the newly refurbished New Street train station and focused on these and other central Birmingham locations. 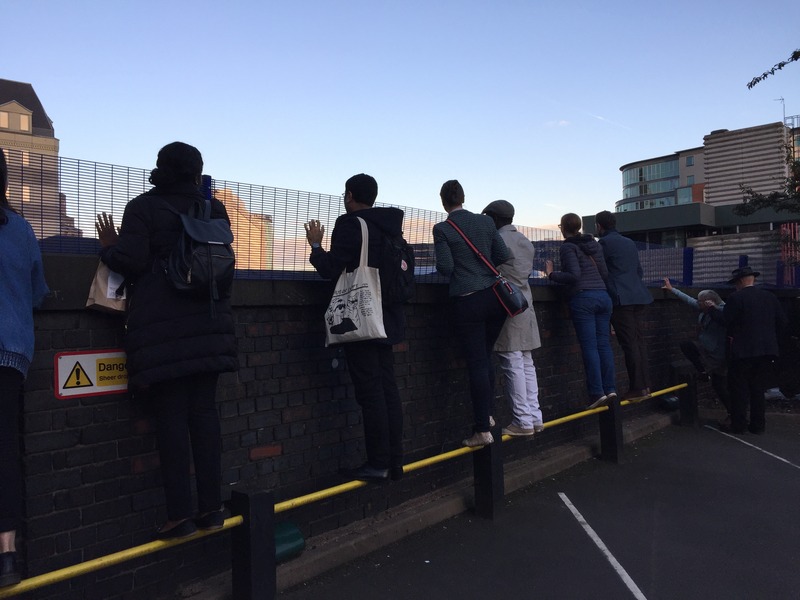 Walkers were invited to compare the acoustic spaces of the train station concourse, St. Philips Cathedral, Bull Ring shopping centre, Great Western arcade and a shop interior. With the use of recorded sounds we augmented walkers hearing ability to allow them to listen inside flagpoles and hear the hidden electromagnetic fields emanating from ATM machines and telephone boxes. 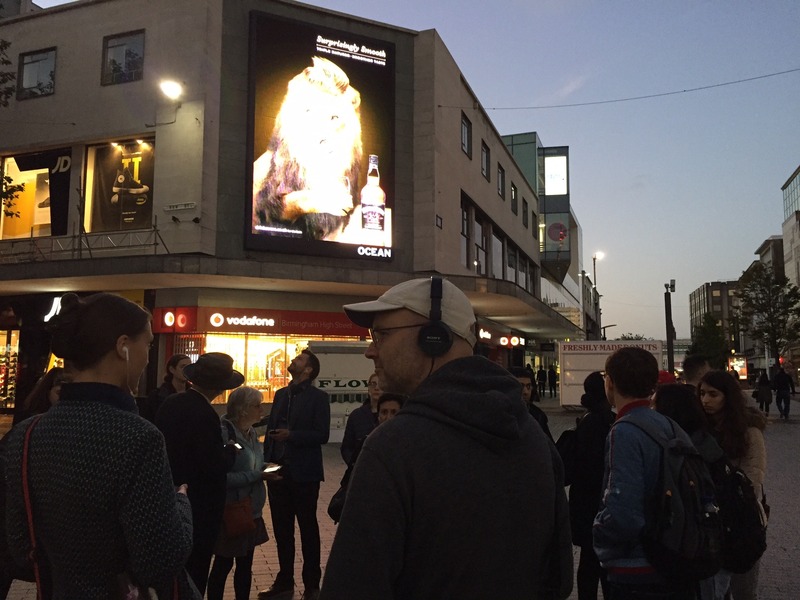 We placed them at the centre of a political demonstration in Victoria Square, they were confronted by Muslim and Christian evangelists preaching to Saturday shoppers and enjoyed a montage of 'background' music from a variety of city centre shops.